Unlike beds made for us, there is are no universal predefined bed sizes for dogs. It could be a lot easier if you could pick out a standard twin, full, or queen size bed for your dog, knowing that it would fit your pet without any issues. That’s not the case, and eyeballing the size of the bed isn’t a reliable way to know if your dog will fit comfortably. The best way to be sure that you’re getting the right size dog bed is to measure your dog for a bed, just as you would measure for clothing. Then add 6 to 12 inches to the final number to give your pooch some room to spread out. Most dog owners are surprised to find out after they measure the dog and add another 6 to 12 inches that they have been seriously underestimating how much space their dog needs. To measure your pet, take a tape measure and measure him from the tip of the nose to the tail. That’s how long the bed should be. Then measure your dog from shoulder to shoulder at the widest point. That’s the minimum width that the bed should be. Add 6-12 inches to both of those final numbers. Write those measurements down and use them as a guideline when you’re shopping for a new dog bed. All dogs are different, they sleep in different positions, and their personality has to be considered when shopping for their new bed. In this case, picking the right type of the bed will often go together with the right size. Does your dog like to curl up when sleeping? Many dogs instinctual sleep in a curled-up position to keep themselves warm and for the feeling of safety. Most bed sizes will work in this case, as long as they’re not too small, and you don’t need to pick an over-sized bed. 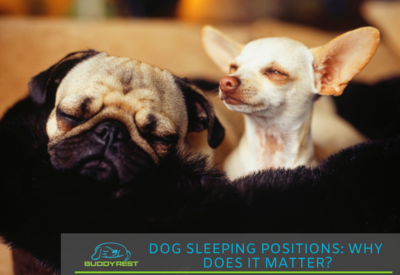 Does your dog like to stretch out when sleeping? A larger bed with plenty of room will be the best choice to prevent any discomfort for a dog that likes to stretch out. An over-sized bed to a lot of extra room will also provide good support for dogs with joint problems. Don’t forget to consider bedding and the “wash-ability” of the bed. Depending on the material, some dog beds may need to be washed not only to remove dirt and debris, but also to kill mites, fleas or other things your dog may bring onto the bed after his daily walks. Your pet’s hair, saliva, and bacteria can build up quickly on dog beds, too. Easily removable bedding, or dog beds with waterproof and anti-bacterial fabric, are the best options. 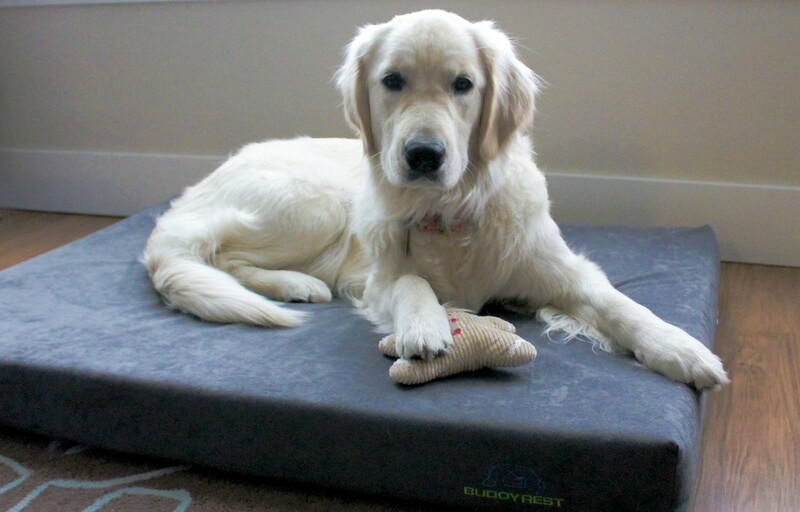 With regular dog beds with no antibacterial or waterproof fabric, you may need to do a little more work. 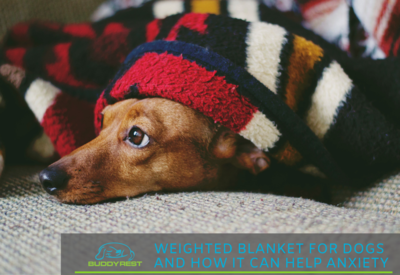 Especially with large dog beds for your big pooch, you may have to take it to the laundromat to wash it in an industrial size washing machine, the kind that is used for large comforters and other bulky items. It’s easy to find large loose fill dog beds, the ones filled with foam shreds, pellets, and other soft substances. These are usually the cheapest to buy, but will cost more in the long-term due to quick deterioration and constant need to wash them. These loose fill beds aren’t easy to wash either, and the filling will break down quickly. time and often these have washable covers, with some beds manufactured using anti-bacterial and “stay-clean” covers, which makes it extremely easy to keep the bed clean and sanitary. Today, it’s always easier (and cheaper) to order dog beds online rather than browse at pet stores. The company will usually provide a good set of guidelines for you to pick an ideal bed for your specific dog. Some will also have FAQs, quizzes and guides to further assist you with your choice. With enough help, the process is smooth, easy and will often cost far less than buying a dog bed at a pet store. You also get the benefit of browsing a large number of beds instead of being constricted to just a few choices. But what about when you’re looking at pet beds in the pet store or in the department store? How are you supposed to know if those beds are big enough? First, you’ll have to bring a tape measure with you to measure any beds that you’re considering. 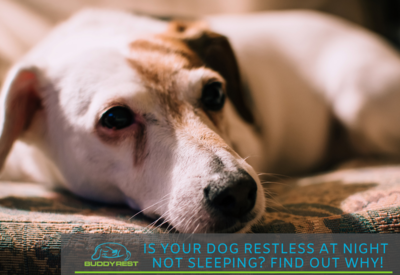 Some owners may bring their pet with them to have the dog try out the bed, but that doesn’t always work as the dog may not want to lie down due to distractions, or the bed isn’t available for tryouts. Generally, when in doubt, size up and buy a bigger dog bed. It’s not uncommon for dog owners to underestimate how much space their dog needs to be comfortable.